Kotlin will check the type at a compile time, so its called statically-typed language and its developed by JetBrains. Kotlin syntax is more sensitive and compressed compared to other programming language like JAVA. It support more features like overloading, lambda, string template etc., than other language. Kotlin and JAVA are highly compatible and they can used in a same project. 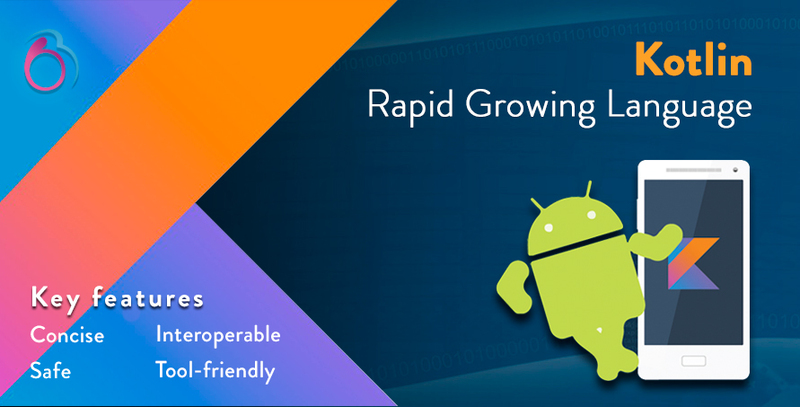 Android Studio 3.0, Kotlin is fully supported by Google for use with their Android operating system and is directly included in the IDE’s installation package as an alternative to the standard Java compiler. Jetbrains released the stable version 1.3.10 on November 13, 2018.